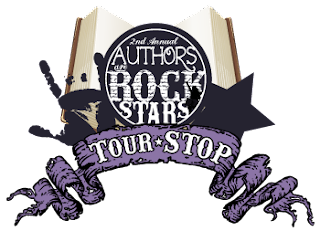 I am so honored to be a part of the 2nd annual Authors are Rockstars Tour hosted by Fiktshun, Two Chicks on Books, Magical Urban Fantasy Reads. I have the privilege to be hosting Claire LaZebnik! Claire, is totally a rockstar. She has written 5 adult books and two Young Adult book published by Harper Collins, Epic Fail and The Trouble with Flirting. Earlier this year I read The Trouble with Flirting and I absolutely loved it! You can see my review on the bottom of the post. Claire, thank you so much for taking your time to be part of Authors are Rockstars. You totally ROCK!! I grew up in Newton, Massachusetts, went to Harvard and moved to LA. (My name was Claire Scovell for a large part of all that.) I’ve written five novels for adults, Same as It Never Was, Knitting under the Influence, The Smart One and the Pretty One, If You Lived Here, You’d Be Home Now, and Families and Other Nonreturnable Gifts. I’ve also published two YA novels with Harper Collins: Epic Fail and The Trouble with Flirting (due out in winter, 2012/3). With Lynn Koegel (who’s absolutely brilliant), I co-wrote Overcoming Autism: Finding the Answers, Strategies and Hope That Can Transform a Child’s Life and Growing up on the Spectrum: A guide to life, love and learning for young adults with autism and Asperger’s. 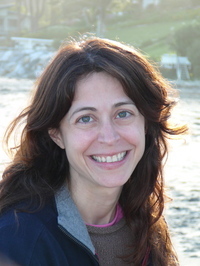 I contributed to an anthology play called Motherhood Out Loud, and have been published in The New York Times, Self, Vogue and other magazines.I live in the Pacific Palisades with my husband Rob (who writes for “The Simpsons”), my four kids (Max, Johnny, Annie and Will) and too many pets to keep track of. 1. Do you still find it surreal to see your book in bookstores? Oh, absolutely. It feels impossible. The problem is that I don’t stop and enjoy the sight—instead I start to obsess about how it’s being shelved and how many copies are left: if there are too few, I worry the bookstore isn’t stocking enough and if there are too many, I worry that no one’s buying it. I’m definitely not a “live in the moment” kind of person. But I’ve had a few delightful moments of seeing a book of mine in a bookstore in a foreign country—that’s always incredibly exciting and weird. 2. Would you rather be reader or a writer? Both are wonderful and important to me, but if I had to choose just one for the rest of my life, it would definitely be reader. I could live without writing, but I couldn’t imagine a life without reading. Reading novels has been one of the great joys of my entire life and I wouldn’t want to face old age without knowing I can retreat into another world whenever I want. 3. What advice would you give aspiring authors? Keep reading and keep writing. If you do those two things devoutly and consistently, you WILL become a good writer. And finish the things you write. It’s easy to start something and daydream about how great it’s going to be, but actually producing a three-hundred page novel takes a lot of discipline. Nothing is wasted: I wrote several novels before finishing one that sold, and most of the published authors I know did too. Each one is a learning experience and gets you that much closer to writing something good. Start the next project as soon as you finish the last one: that way, you’ll always be moving forward and if the first one doesn’t go, well, maybe the next one will! 4. What are your top 3 Summer reads? I’m reading WORLD WAR Z right now and really enjoying it—somewhat to my surprise. 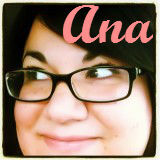 (I’m not surprised I like a zombie book; I’m surprised I like a book that doesn’t have a main character or a romance!). THE HUNGER GAMES trilogy is probably the best vacation reading ever: I still remember staying up until about three in the morning to finish the last one the day it came out. And a friend of mine gave me OUTLANDER years ago when I was searching for a fun read. I picked it up and didn’t put it down again until I was done. 5. If you could be any character from one of your favorite books, could be from one of your own books, who would you be and why? Here are 5 words. Write down the first thought that pops into your head! No helmet = bad news. Not a fan. Watching other people swirl under the stars. Never me. Family vacation somewhere exciting . . . This is my first book from Claire LaZebnik and for sure will not be my last. I am going to be honest, I have a hard time reading contemporary YA books because they bore me, but The Trouble with Flirting kept me interested and wanting more. It was a little slow in the beginning, but then I didn’t want to put it down. Franny is in high school and whose parents are divorced. Her mom wants her to get a job during the summer so she sends her to her aunt, Amelia, who is the costume maker for an acting school where only the well-off teens get to attend. Luckily for Franny, she ends up reuniting with her friend Julia and her brother Alex. They all used to go to the same middle school together and lost touch after they each went to a different high school. Everyone seems pretty friendly and welcome her into their little group. But it's not all fun and games for Frannie – she actually has to work this summer, unlike the rest of her new friends. Franny remembers an incident back when she was in middle school with Julia and Alex where she was in a play and Julia had gotten a huge bouquet of roses and everyone was all praising her and poor Frannie looked so sad because her parents didn’t come. Alex went and pulled out a rose from his sister's bouquet and gave it to Frannie and then just walked away without saying anything. Frannie has always had a crush on Alex since before that, but after that little sign of affection, Alex was always on her mind. So who would have thought she would be seeing him again. Anywho, Franny also meets Harry who is incredibly good looking guy but also has the conceded attitude to go along with it. You know the type, the one who knows he's hot and who could get any girl he wants. Harry's best friend Elizabeth comes to the camp too and she ends up hooking up with Alex, breaking poor Franny's heart. Well, Harry starts to fall for Franny, but Franny, in her head has already decided that Harry is too full of himself and a heartbreaker kind of guy, so she is hesitant where or not to really take him seriously. Who will she choose? You will have to read The Trouble with Flirting to find out. I promise you, you WILL NOT be disappointed! The characters are all very well developed. I think it's pretty amazing when you can picture these characters in real life, like if you were seeing them on a TV screen. That's something a great author can only do. Great book and I am really glad I stuck through it and maybe, just maybe, Claire has changed my mind on this genre. LOVE IT! 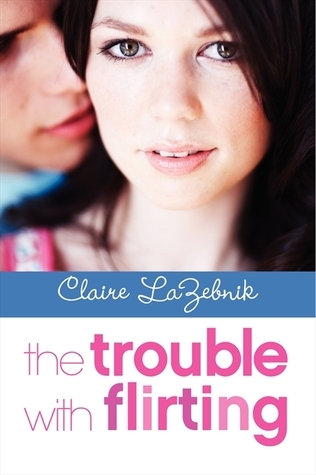 Win a Copy of The Trouble With Flirting by Claire LaZebnik!! Great post! Thanks so much for being a tour host. I'm also not a huge fan of YA Contemporary Romance, but since you really enjoyed it I'll give it a try!